It is a fast-paced world out there and we are all just living in it. You might even be building a business in it, so you’ve got to stay competitive and trendy to stay successful. Your business may provide services or you may travel to your clients; either way our schedules are full of appointments, sessions, classes, meetings, jobs, parties, tours or whatever you may offer. Making and accepting phone calls to schedule these appointments is now a thing of the past. You no longer call ahead to order a pizza, or call the airline to book a flight… you do it online. 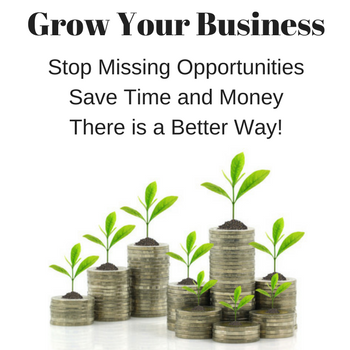 Why is your business stuck in the past with phone calls and frustrating paper calendars? 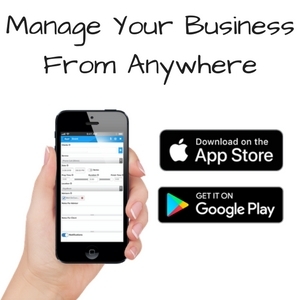 GigaBook offers an easy solution on how to improve your business with online booking and other great features. Never again will you miss a phone call because you are closed, busy, or on vacation. Not everyone can call during your allotted hours, and they may be busy by the time you return a message (or already moved onto your competitor). Your website is open and accepting bookings 24 hours a day, every day of the year! Your clients will no longer be frustrated by the unknown availability for their desired service that is only in your handwritten paper calendar. Not only will you always have access to your updated online and exportable calendar, but now they can browse your business services and options, see what times are available that will work with their schedule, and book on the spot. GigaBook offers Real-Time Availability, so the moment you block off some time for a personal errand on your calendar or if someone books your time, this time block is instantly unavailable to another client. No matter how laid-back, hip, or artsy your business may be, you still want to look professional and to be taken seriously. A customized booking platform will take any existing website from decent-looking to professional-looking with just a few clicks. Online booking keeps you competitive instead looking of out-of-date. Looking like you are the leader in your industry or market goes a long way with your clients or potential clients. You should always control your business whether its your presence on the internet, your employees behavior, or the interior design of your business. Online you can control what you say and how things look to your clients. So being able to customize your booking requirements as well as the visual aspects is quite important. With GigaBook, you can customize the entire booking process, whether its fill in the blank, yes/no questions or dispatching incoming requests to available service providers you can take control of your client intake. You can allow individual bookings, group bookings, set capacity for classes or larger sessions, take payments and you can do this all in the color of your choice so the booking portion matches your website design. Online booking will minimize the endless task of figuring out how to keep that calendar organized. With less phone calls and emails to answer, your staff (whether its just you or a staff of 10) will have more time to help improve the business and the efficiency rather than just calling people back, filling out paperwork for new clients, collecting payments, or figuring out who is coming to the next appointment. This can save hours or even workdays in just one week that can be applied to other important parts of business like advertising, in-person customer service, or even apprenticeships to become an additional expert in your field like yourself. If you are in the business alone and can’t quite afford the admin help you need, GigaBook is a great employee who works 24 hours a day, never asks for a sick day, and is extremely affordable. Try GigaBook’s Online Appointment Booking System for free! Online booking is a great form of communication, mainly because people are busy and don’t want to spend more unnecessary time on the phone, sending emails, playing phone tag, and some clients just may not feel comfortable speaking over the phone due to language barrier or similar reasons. So online booking is quick, simple, and creates happy customers. Less phone time at your business means your full attention can be on your clients when they are there in person. Win-Win. One issue with booking clients is no-shows, or when customers do not show up without calling ahead to let you know they won’t be able to attend. So this leaves you wasting your time when another client could have filled the spot, and you are not getting paid for this time. GigaBook can require payment at time of booking. This will prevent a no-show as clients usually don’t skip out on something they have already paid for. The other reason someone may not show up is they simply forgot. So to prevent this GigaBook will actually send your choice of automatic email or text reminders to your clients, so they will never say “I forgot” again! Most people love shopping online because its easy, fast, and they love good deals! Almost every business has some sort of promotional or discount code for new or repeating customers (or holidays, friends, birthdays, sales, etc). These codes are very enticing to customers as everyone loves to at least think they are getting a good deal. This is also a great form of advertisement for new clientele. 9. Organization is the Key to Success! Everyone likes to be organized, but the actual act of organizing may not be your favorite. 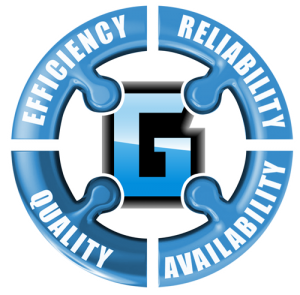 GigaBook can make this part of your business much easier. Your existing client information can be uploaded into GigaBook and all future client info will be saved from time of booking. You can stay organized with the built-in invoicing system, keeping track of your paid and unpaid invoices. And you can even take advantage of the To-Do list, which can send reminders when a to-do list item is due so you don’t forget any of your many tasks again. The goal of most businesses is to grow either in company size or in your client-base, which usually also goes hand in hand. So although this “reason” is more of a goal, online booking has proven to increase sales, retain client base, create positive customer communications, maximize efficiency for business owners and/or employees, reduce errors due to disorganization, and ultimately help the business flourish. Online booking is no longer a luxury; it is a necessity if you want your business to stay relevant and succeed. GigaBook is here to help you do that with this user-friendly cloud-based appointment-booking platform.